I love when an inversion layer of fog and clouds covers over the Front Range and the foothills just west of Boulder, Colorado. No two inversion layers setup quite the same way so you are never sure where you will be photographing or what you will be photographing. This April morning the inversion layer was just below Walker Ranch above Boulder. 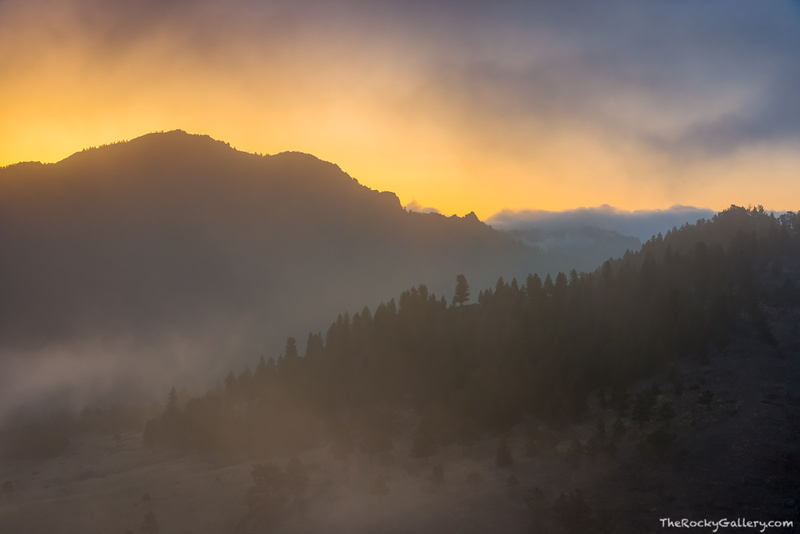 As the sun rose in front of the Flatirons, the inversion of clouds and fog weaved it's ways through the pines of Walker Ranch making for a dramatic and beautiful morning. Photo © copyright by Thomas Mangan.